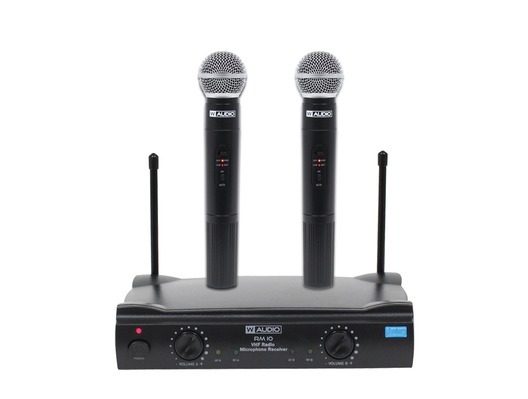 The W-Audio RM 10 Twin Handheld VHF Radio Microphone System includes 2 wireless microphones and a microphone receiver. 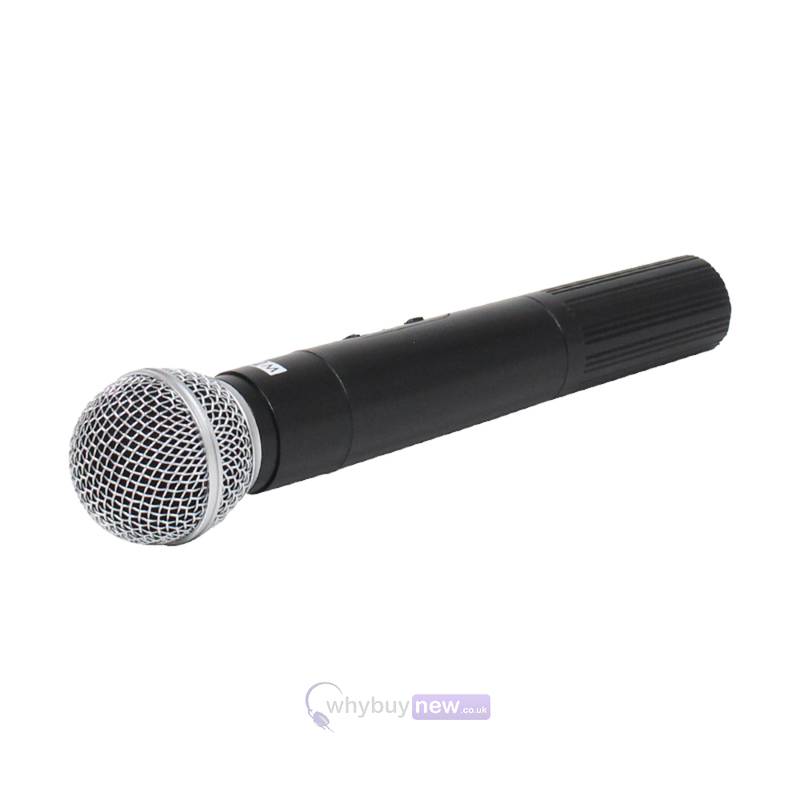 This system is ideal for any small sized venue looking to put on karaoke or similar entertainment. As it's a wireless system it gets rid of the need for wires to be inconveniently dragged across the venue when the microphones are in use! 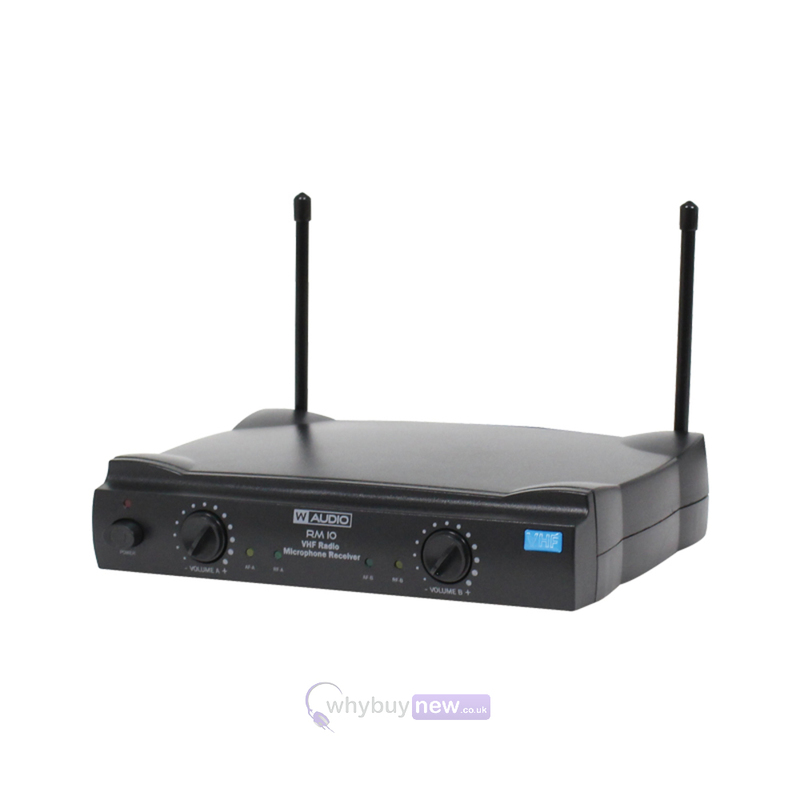 The W Audio RM 10 is a dual channel, VHF wireless microphone system supplied with receiver and 2 handheld microphone transmitters. 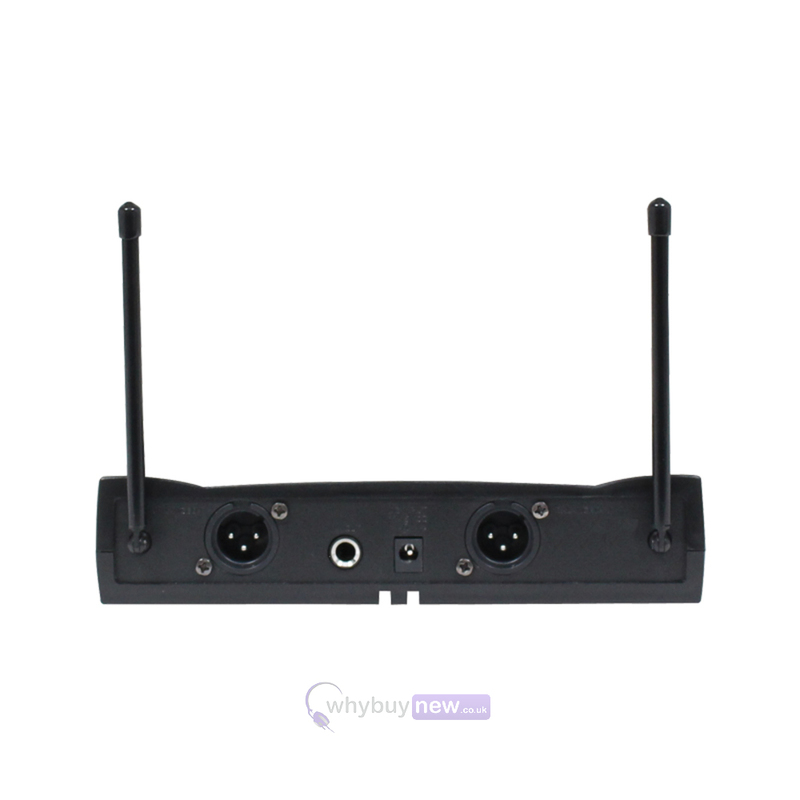 Suitable for mobile entertainers and small venues, the system is supplied in a foam lined ABS case for protection during transportation. 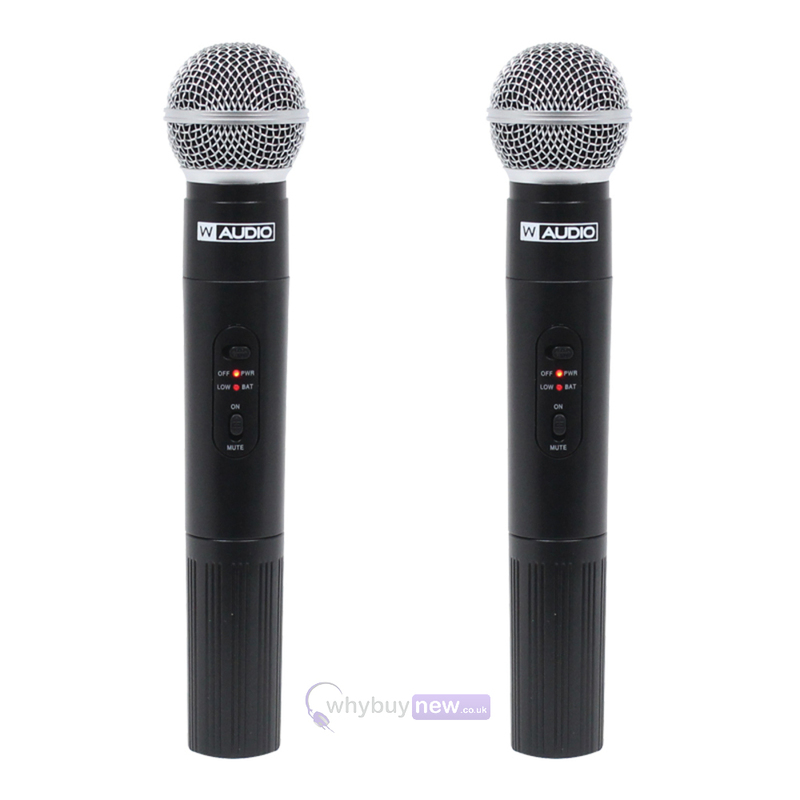 Each mic requires 2 x 1.5V AA batteries. 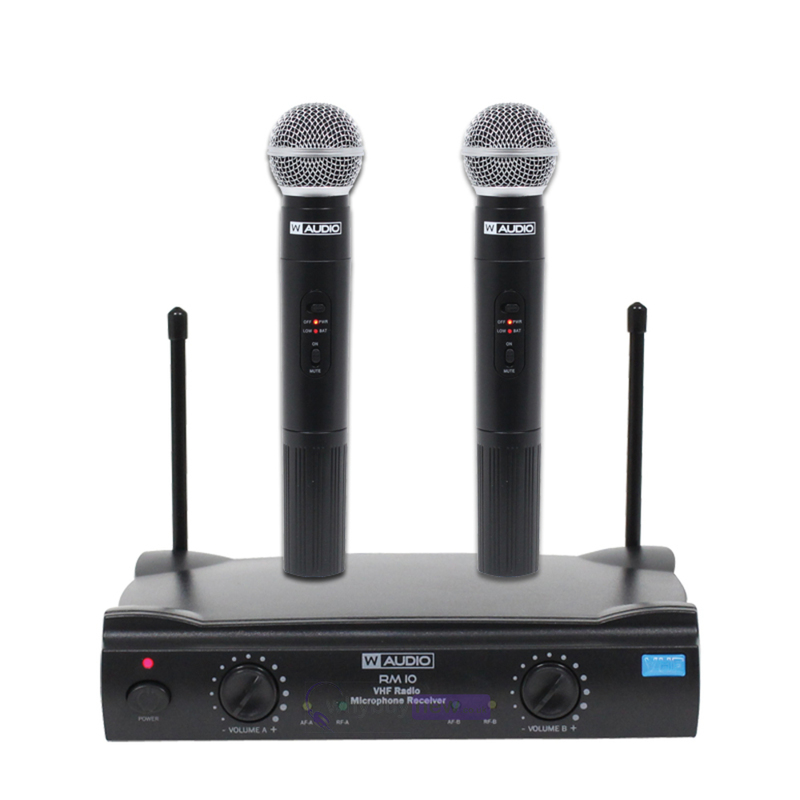 Here we have the W Audio RM 10 microphone system in new and manufacturer refurbished which will come boxed 'as new' with a 1-year warranty. Buy this amazing system with confidence with 100% satisfaction guaranteed or your money back!